Out of the mists comes a treat for the senses. A gift to help release the tensions of the day. This basket of goodies is made to soothe for two. 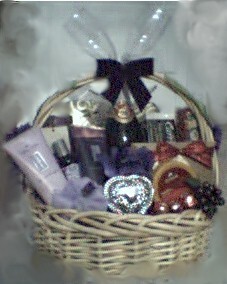 Filled to brimming with gourmet munchies, bath and body accessories � sparkling cider with two champagne flutes.